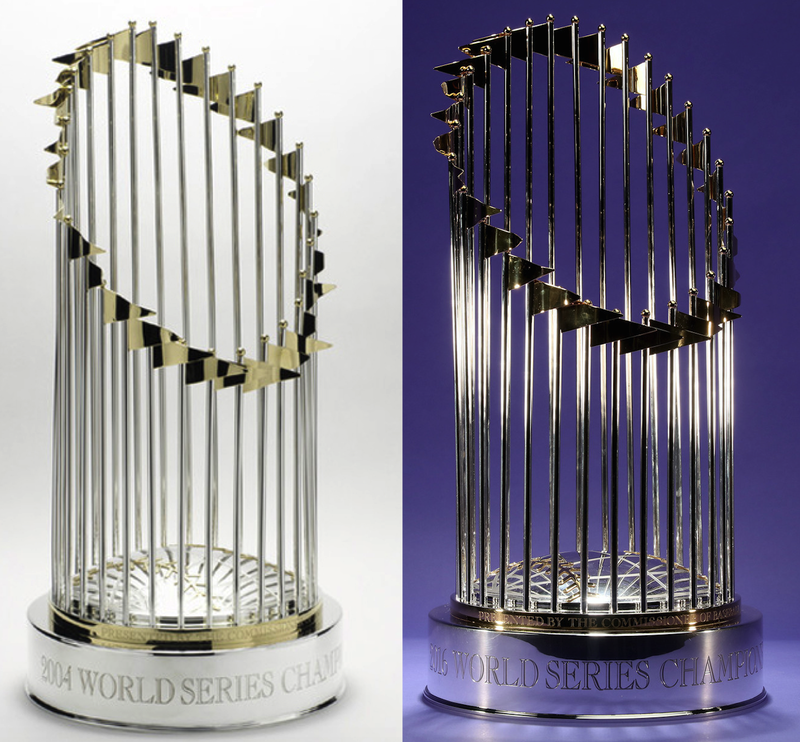 On Sunday night at Fenway Park, fans will be able to visit and take photos with the two most famous 'curse-busting' trophies in MLB history: the 2004 Red Sox trophy and the 2016 Cubs trophy. We're talking about a combined 194 years of angst here! This terrific idea is all to benefit the Red Sox Foundation and Cubs Charities. 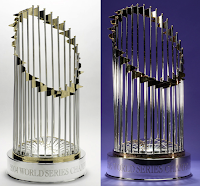 The twin trophies will be on display in the Gate K/B concourse at Fenway when gates open starting at 6:35 p.m. ET on Sunday. Proceeds from a slew of weekend events will go to funding scholarships for under-served youth in both cities. It's only fitting that the architect of both historic World Series Championships—Theo Epstein—is in town to enjoy this joint display.